Choose expedited shipping after 12/19, deadline for all shipping is 12/23 for Christmas. This astonishing tower is one of our largest weighing 14 pounds and is filled with an amazing collection of treats. 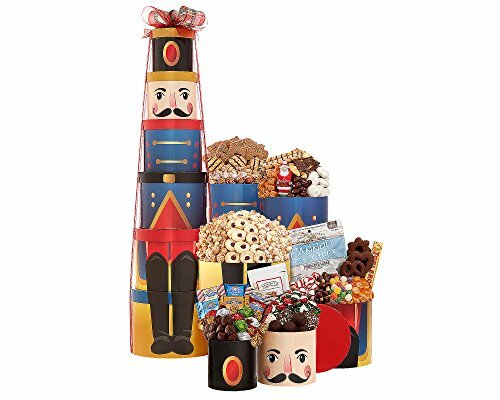 Send this fun gift tower and they will be delighted by one treat after another. The perfect group or office gift for those you want to remember during the holidays.